The High Meadows course has strategically placed bunkers, rolling hills and meandering streams and ponds that come into play around the course. Our impeccably groomed 18-hole course is player-friendly with 5 sets of tees. Elevation changes and breathtaking views make our course exciting each and every time it is played. Our signature 12th hole tee offers a spectacular view of the lake with the mountains of Southwest Virginia in the background; the 18th hole, a Par 5, challenges two lakes and is guarded by a deep bunker front and left of the green. Along with the course, other facilities include a driving range, putting green, practice sand bunker and chipping area. High Meadows also hosts golf outings and programs for seniors, women, men, couples and an upbeat juniors program. 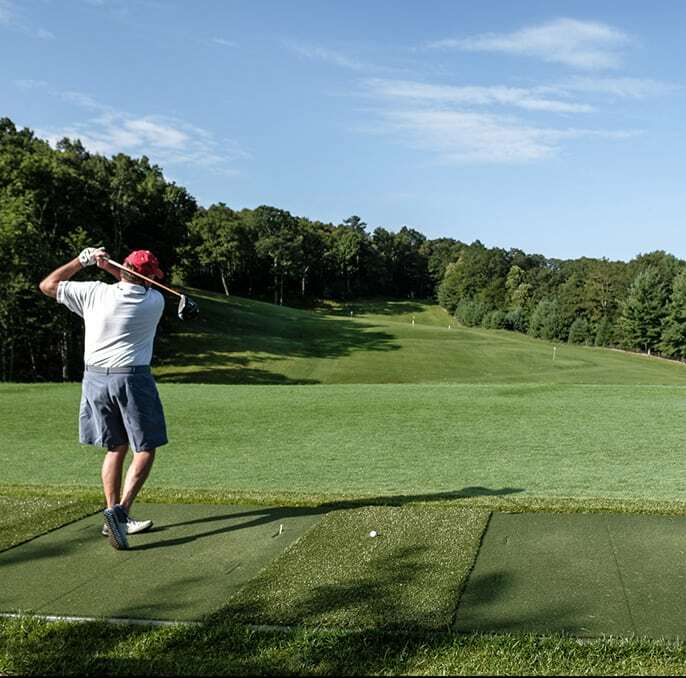 Member involvement through the Men's and Ladies' golf associations along with other club sponsored play is what makes golfing at High Meadows so special. 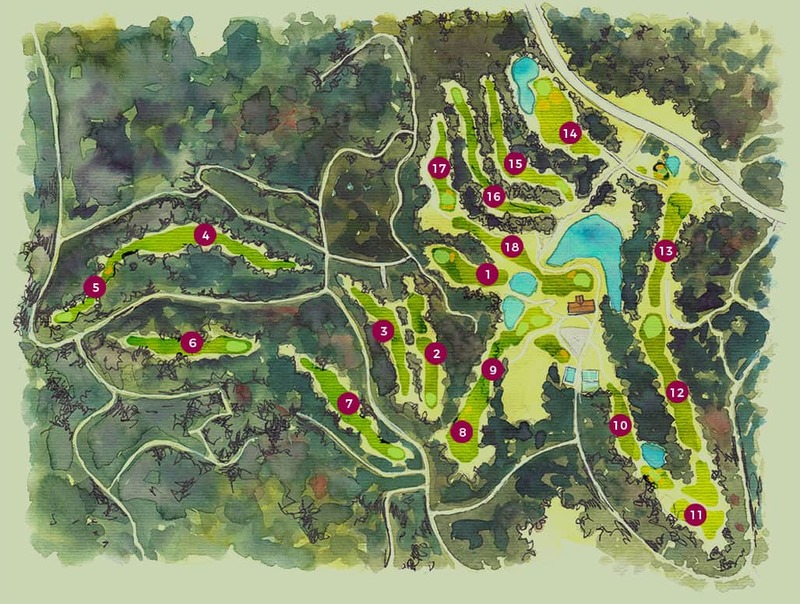 Get a bird's eye view tour of each hole of our beautiful course. Our George Cobb designed course is a golfer's dream, nestled beautifully within the Blue Ridge Mountains of North Carolina. 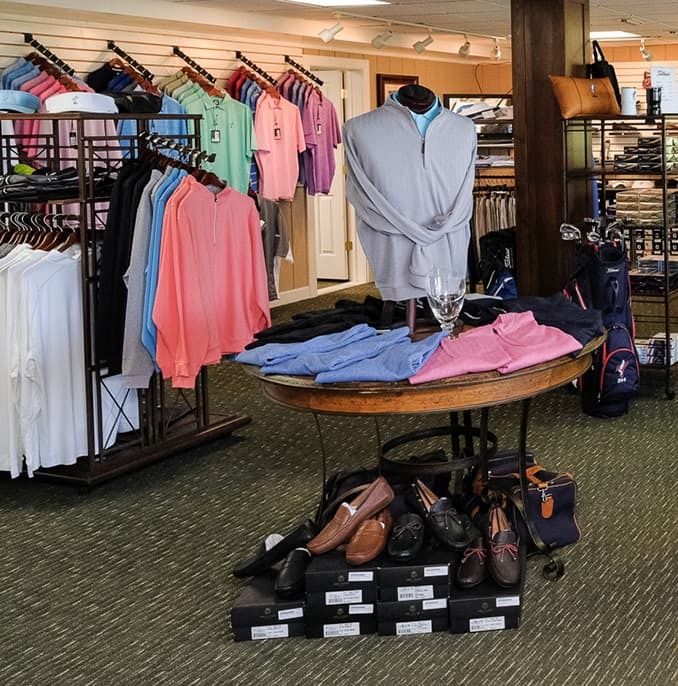 High Meadows Golf Shop is a full-service golf center offering balls, gloves, men’s and ladies’ apparel and the latest golf accessories. We proudly carry the latest technology from the most trusted names in the business, including Titleist, Ping, Adams, Nike, Adidas, Sky Caddie and more. Just one visit and you'll see that our service sets us apart from the rest. Our Pros have the expertise and equipment to repair and customize your clubs on-site. From adjusting the grip to fine-tuning the loft and lie to match your swing, all of your customization needs can be taken care of in our shop. If you are looking to polish your game, come visit Todd, our PGA Professional or Tim, our 1st Assistant Golf Professional. Both Todd and Tim are qualified to teach private, semi-private or group lessons to golfers of all skill levels. Come let our team help you achieve greatness on the course!